Great location, although it is touristic area, room was very quiet with great view. Few beaches nearby, lot of restaurants and shops around. All needed equipment in kitchen, room was cleaned every day. Helpful and smiled staff, parking just next to Apartment - very in plus, as it is not easy to park a car in crowded touristic areas on island. Very pleasant stay. There IS parking right there at the property. It's a quiet area, but near lively areas. Had a hair dryer, fridge, and working a/c. Rena was a fabulous host - extremely friendly and helpful! 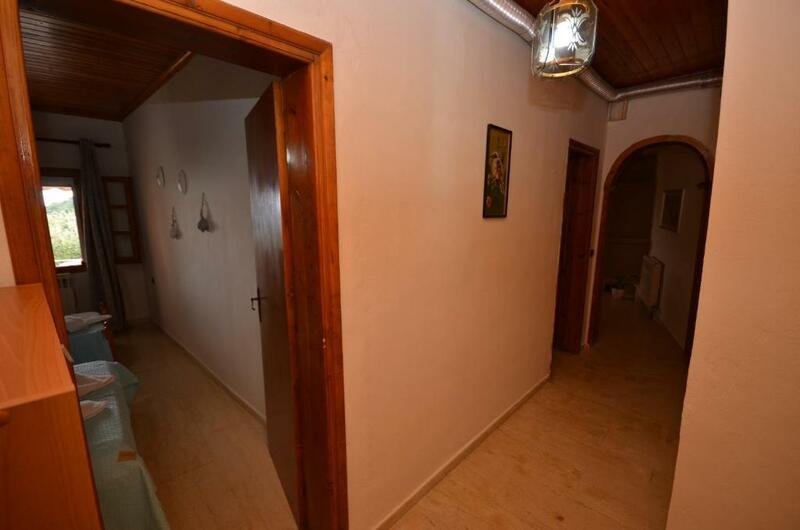 The apartment was ideally located close enough to easily walk to town and the beaches, but far enough away to be quiet. View was fantastic and parking was easy. Apartment was well equipped, large, and very clean. And Rena tidied and replaced wet towels each day, which was very nice. This is a good apartment at a good place: a super market, restaurants, the western beaches (sandy!) 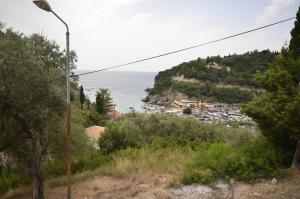 of Paleokastritsa, boat excursions and a Monastery are nearby. Going a little bit up the street you get a nice view of the western part of Paleokastritsa. The small kitchen part is alright as is the connection to the owner/manager for keys and paying the stay. These Rena Studies are comparatively cheap. You know or will see, this is an apartment, so there is no breakfast etc but a small kitchen. However, the Rena Studies are are comparatively cheap and in a good position to a super market, the western beaches, restaurants, boat excursions and a monastry. And the greater western beach is good (sandy) in Paleolkastritsa. Studios are located in a very quiet area, a 10 minute walk from the Harbour and 2 beaches. 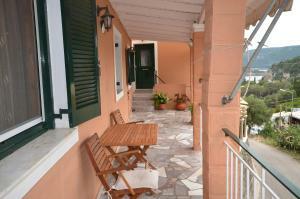 We had Studio number 1, on the ground floor with a very large terrace and wonderful sea views. Accommodation and facilities are very basic but adequate. The room was simple and clean, with nice balcony and sea view; location is quiet with easy parking area. Good hiking path up the hill to mountain villages nearby. Lock in a great price for Rena Studios – rated 9 by recent guests! 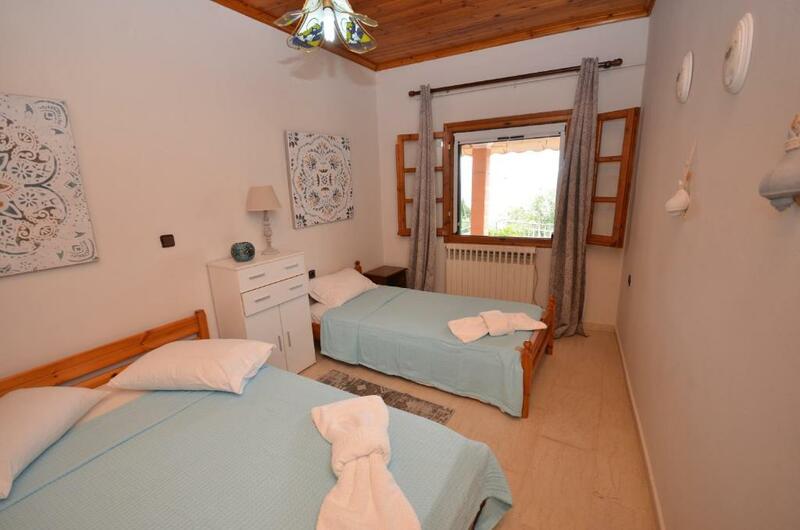 Rena Studios offers affordable accommodations 800 feet away from Paleokastritsa Beach. It is next to a supermarket and 5 minutes away from restaurants. 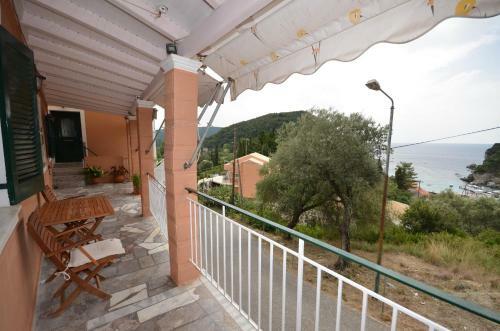 Rooms are fully furnished and include a kitchen and balcony with view of the surrounding hills and the sea. Each has a bathroom with shower. Rena is 800 feet away from many bars and restaurants. There are 3 more beaches within a range of 800 feet from Rena's Studios. Guests can also find many pathways to the village of Lakones close by. 뀐 Located in the top-rated area in Paleokastritsa, this property has an excellent location score of 9.3! When would you like to stay at Rena Studios? Common balcony serves all studios and there is no capacity for extra beds. Please note that these rooms are in a separate building 65 ft across the road from the main building. There is capacity for extra bed. House Rules Rena Studios takes special requests – add in the next step! Rena Studios accepts these cards and reserves the right to temporarily hold an amount prior to arrival. Please inform Rena Studios of your expected arrival time in advance. You can use the Special Requests box when booking, or contact the property directly using the contact details in your confirmation. The bathroom needs a renovation. 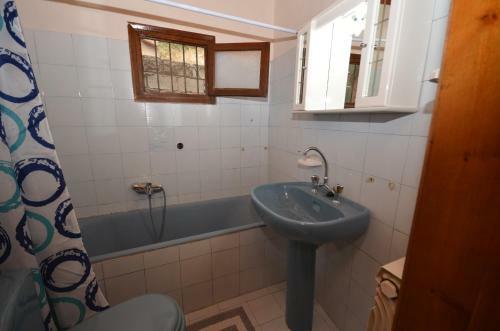 The bathroom might be renovated. The bed was OK comfort wise although very bouncy ! Bathroom and especially shower very small but good pressure and plenty of hot water. The owners were slow to respond to communication. We were asked to wait for an hour to check-in even though arrived just before 1pm. Bathroom and kitchenette are very small for a longer stay. Wifi was not always good as well as the water pressure in the shower. The sea view was magnificent! There was always shade on our balcony and consequently the sun did not shine directly into our room. The minikitchen featured everything you can need. The owner let us leave our bags after check out. There was a minor issue with the flow of the warm water in the shower. Perfect location, very cosy traditional apartment! Very friendly hosts. Maybe the batjroom and furniture needs refurbishment-but after all it is a minor issue. Really wonderfull staff, location and cleanliness. 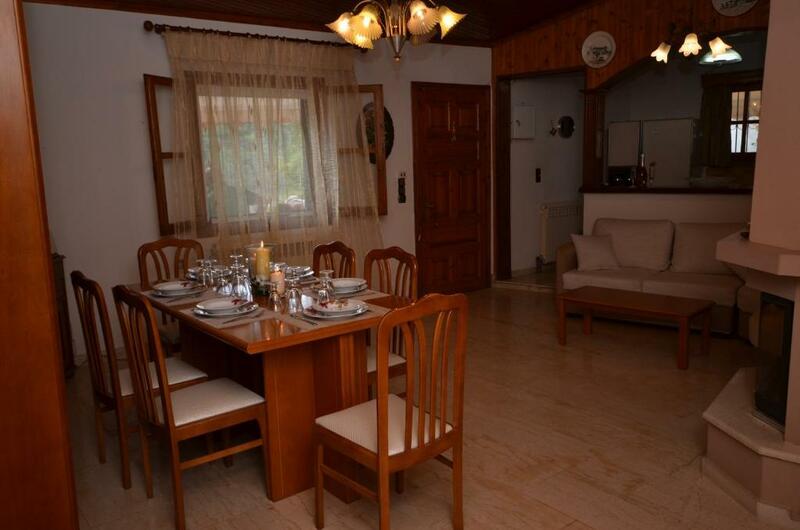 Good location, quiet, nearby beaches and hiking tracks. Very clean. Sea view. Located on a small hill with a sharp incline. Prepare yourself for the walk up everyday. 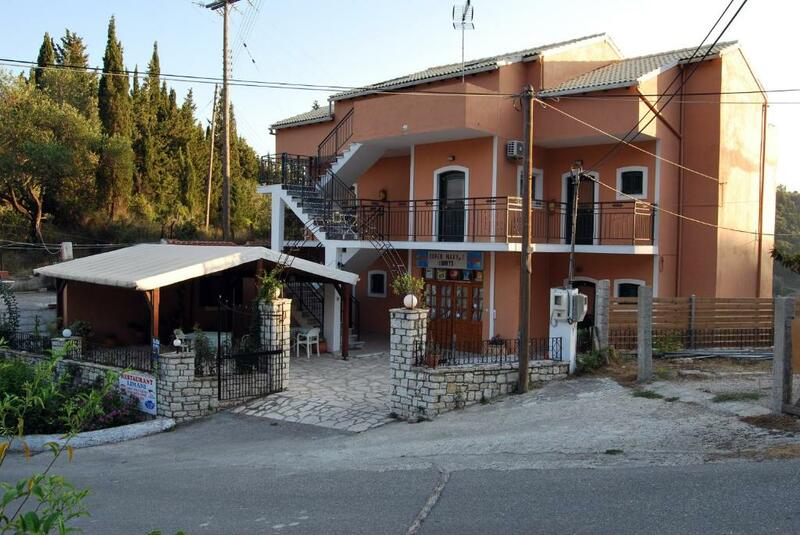 Less than a 5 minute walk to Paleokastritsa beach and extremely close the only supermarket in the area. Kitchenette and sandwhich press turned out to be extremely useful as well. Very close to the green buses bus stop as well. Upon arrival, we were told there were no rooms with single beds left, like we reserved. We were told to take the one with a double bed, or leave. We accepted because we had No other option. A few hours later, our room turned out to have a draining problem so when i got out of the shower, the whole room was flooded. We called the owner and she immediately started blaming us for what happened, and took on an aggressive tone. When we told her we didnt do anything wrong and we wanted her to put us in another room. She said she didnt have any and told us to spend the night in the flooded room and leave the next day. We were apalled by the way she treated us. Finally, she discovered the draining system was clodded with plastic waste and gave us another room which had no problems and was comfortable. But we were treated absolutely in the rudest way. The rooms and location are okay, but if you are unlucky and there is something wrong, the owner has no idea about the way guests should be treated. Good location, nice view, everything clean.